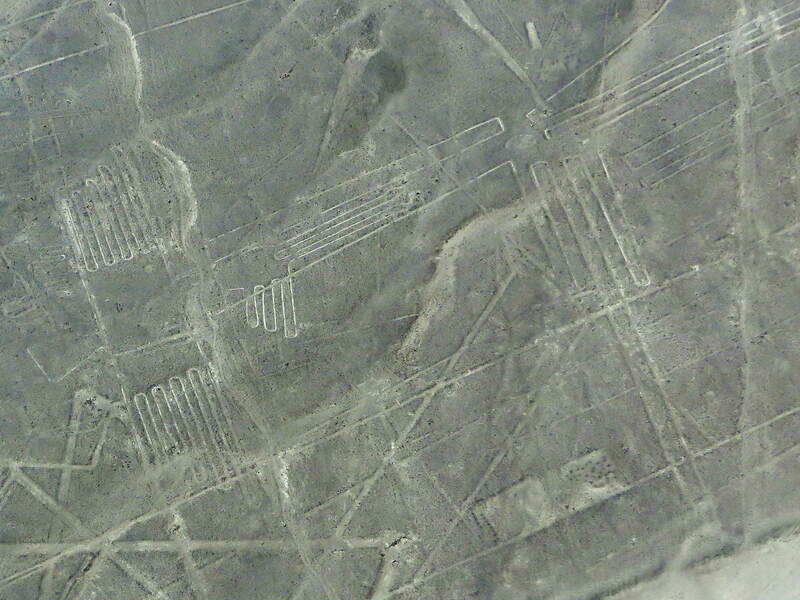 The Nazca Lines are geoglyphs laid out in the plains or pampas of the Peruvian desert near the city of Nazca. 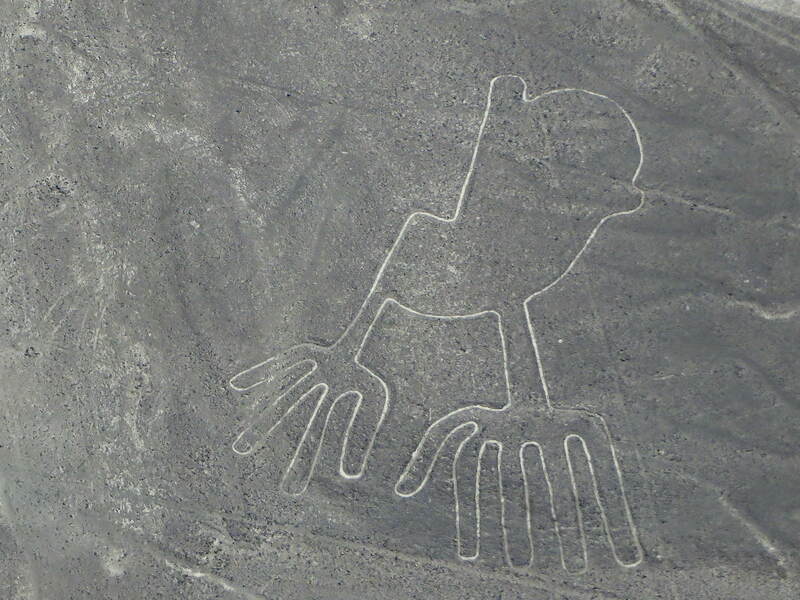 Carved out in the gravely planes by the Nazca culture between 400 and 650 AD, some 400 different configurations represent geometric figures and shapes of people, animals and plants, the most illustrious of which have received popular names, like "condor, whale or orca, hummingbird, lizard, monkey, spiral", etc. The lines - the largest ones are almost 300m in size - have been made by removing the reddish pebbles from the desert floor, thus uncovering the lighter soil underneath. 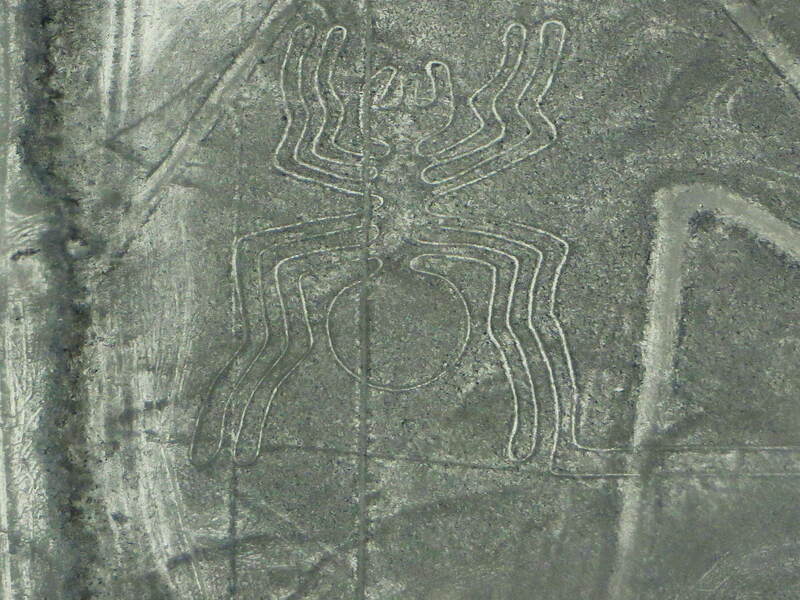 By about 700AD, the culture vanished, leaving behind the mysterious geoglyphs and the ruins of Cahuachi - aka Paredones. Many smaller sites have been found from where pottery and textiles have been uncovered, all testimonials to the advanced culture and technology of these people. 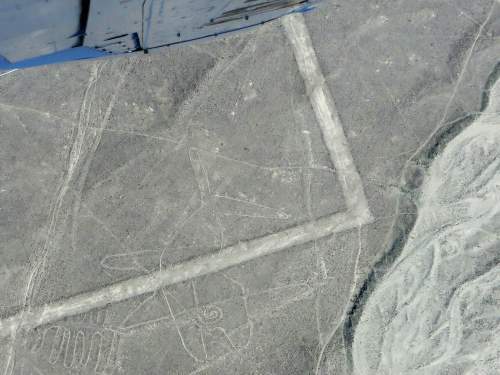 Since the first studies about the purpose of the Nazca Lines were carried out by Paul Kosok and Maria Reiche in the early 1940s, as many theories have popped up as the scientists studying them. One theory went as far as accrediting the lines to aliens. 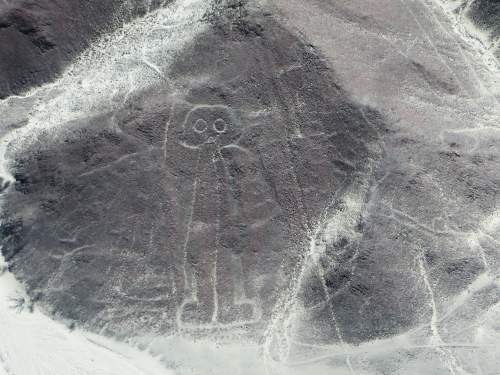 With no written records from the people who made them we will never know, and isn't it enough that they are simply there as a mysterious testimony about a culture that disappeared more than a millennium ago? 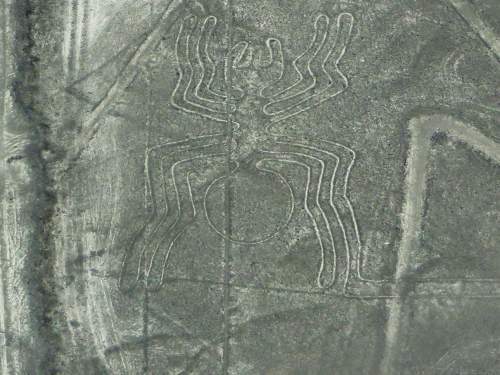 Designated a UNESCO World Heritage Site in 1994, many designs have been well-preserved due to the dry, windless, and stable climate of the plateau as well as the protection by the Government of Peru, that prohibits any alteration or occupation of the lands that threaten the figures. 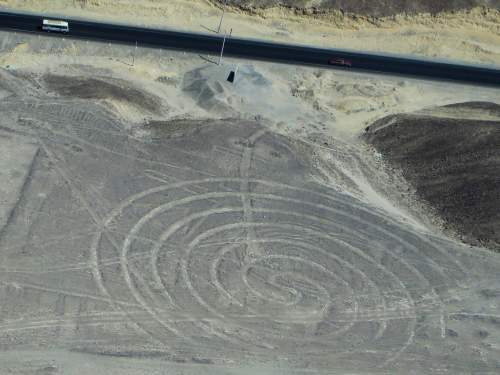 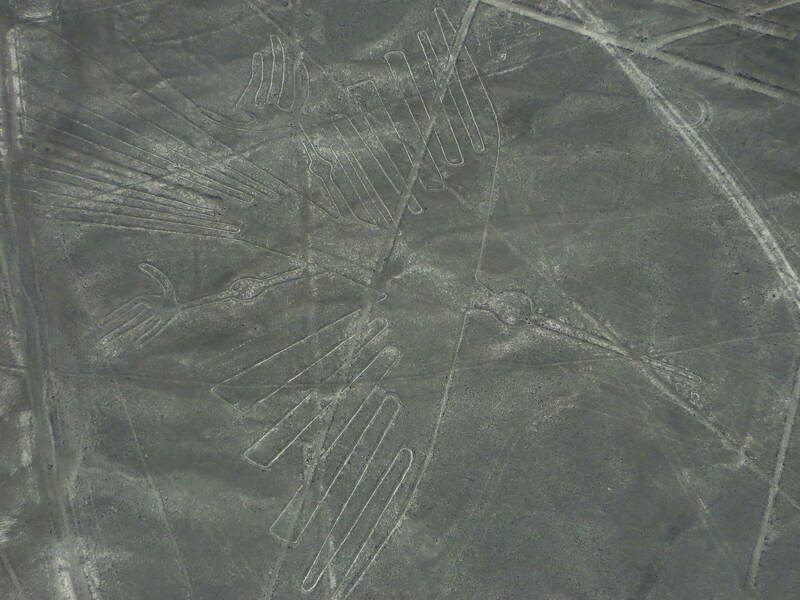 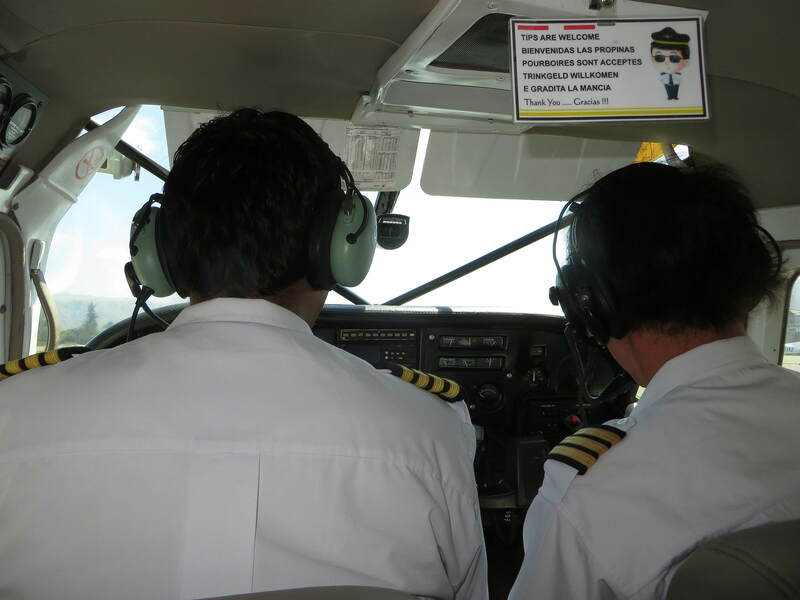 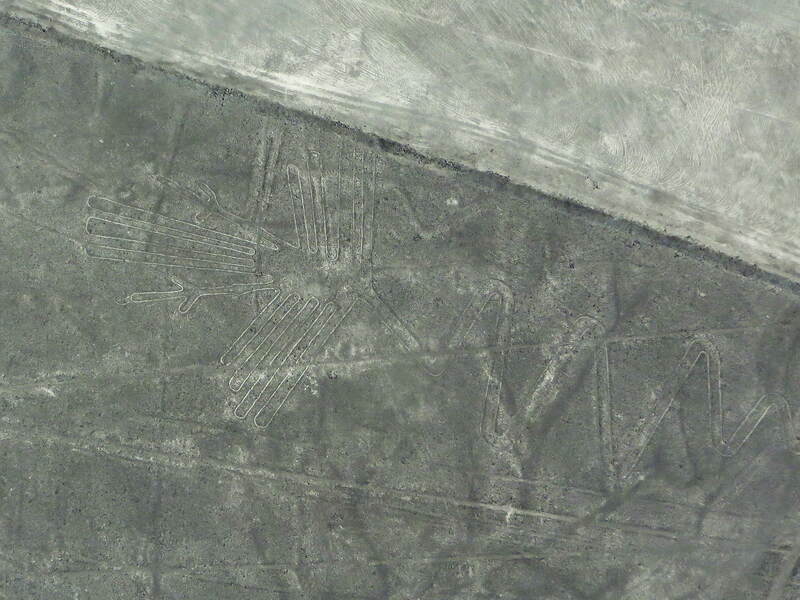 Nazca Lines Flight services from Maria Reiche Neuman Airport in Nazca. 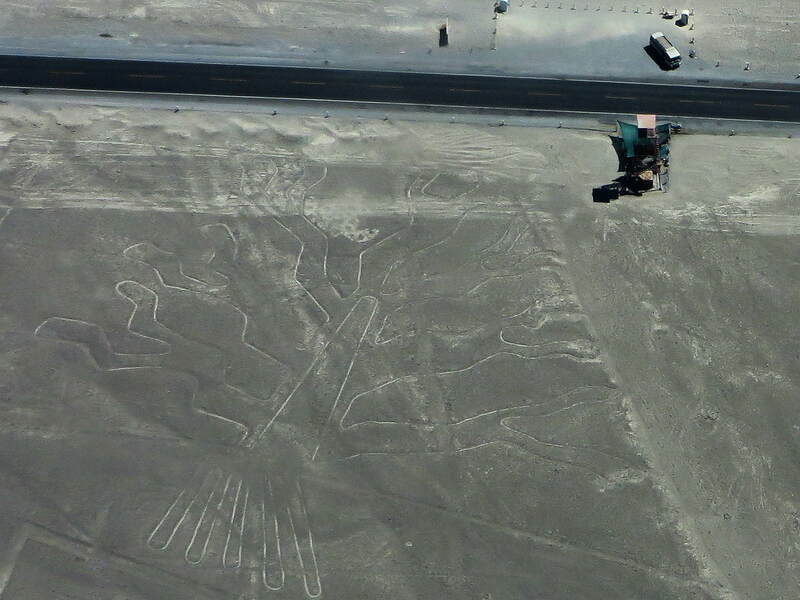 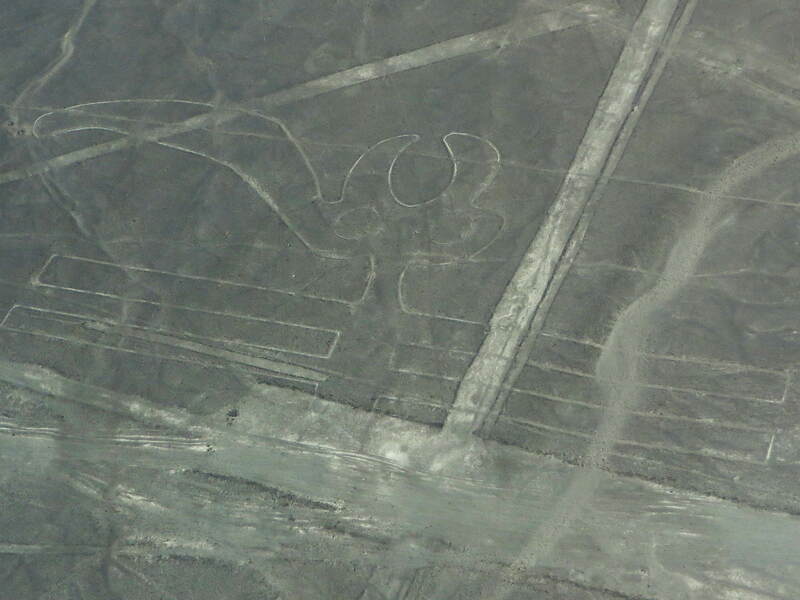 An aerial overview of the Nazca desert from a Nazca Lines flight. 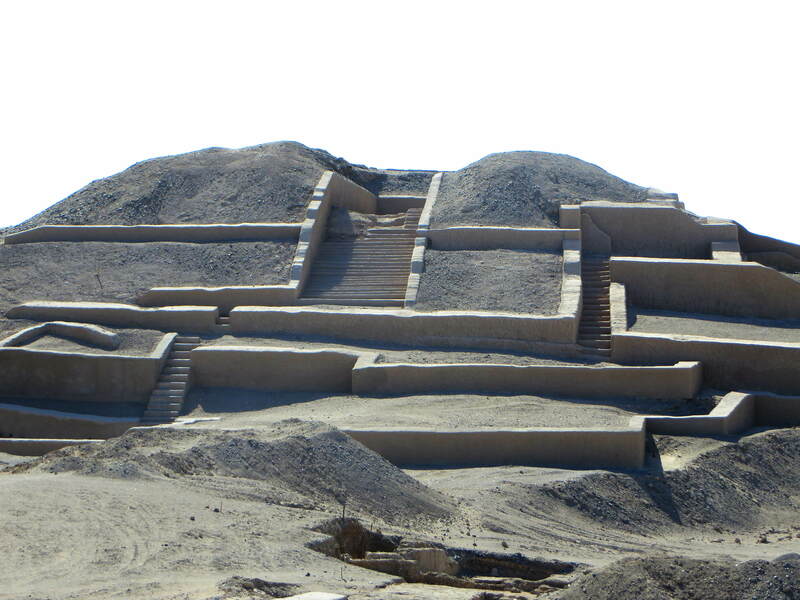 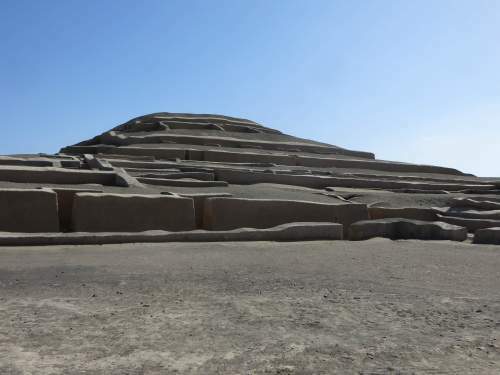 Cahuachi or Paredones ruins are 15 minutes away from the outskirts of the town of Nazca. Cahuachi or Paredones ruins are an archaeological site about 15 minutes away from the outskirts of the town of Nazca, which showcases the Nazca Culture. 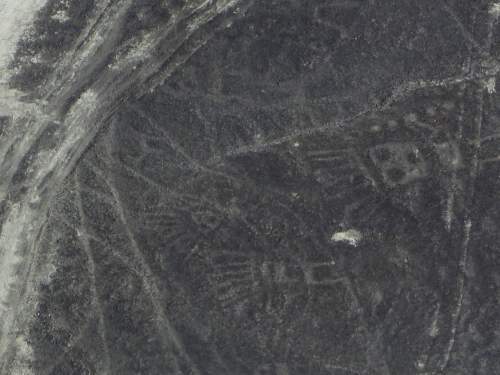 In fact, Nazca Lines can be seen from some of the higher points in the surrounding hills. CLIMATE IN NAZCA, PERU. 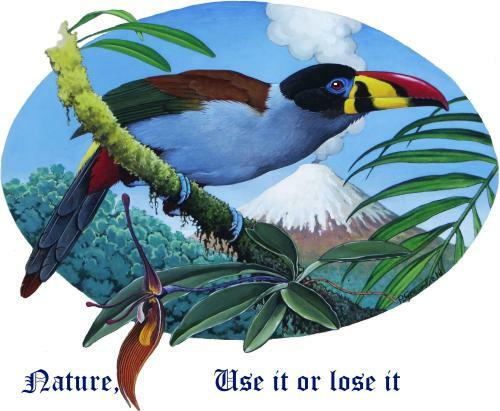 INFO ON WEATHER & SEASONS. 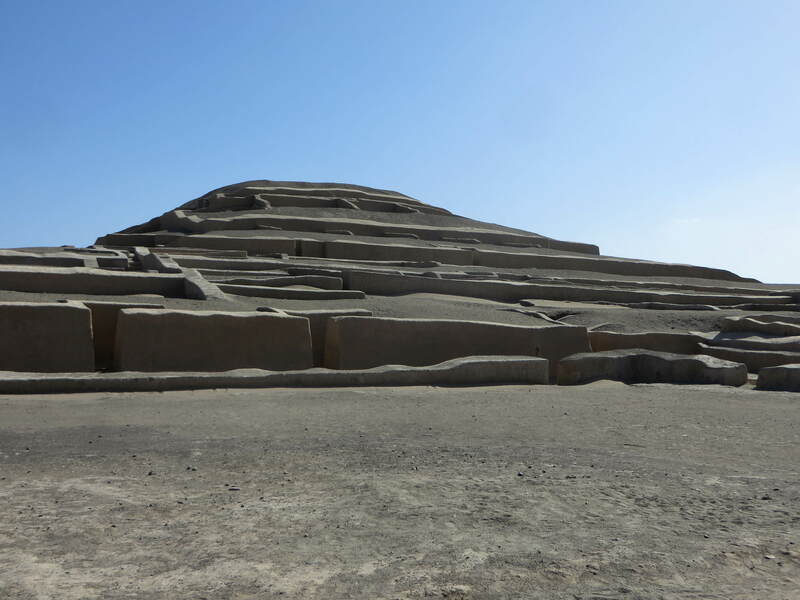 Graphs: hours of sunshine, overcast, rainfall, temperatures, etc. 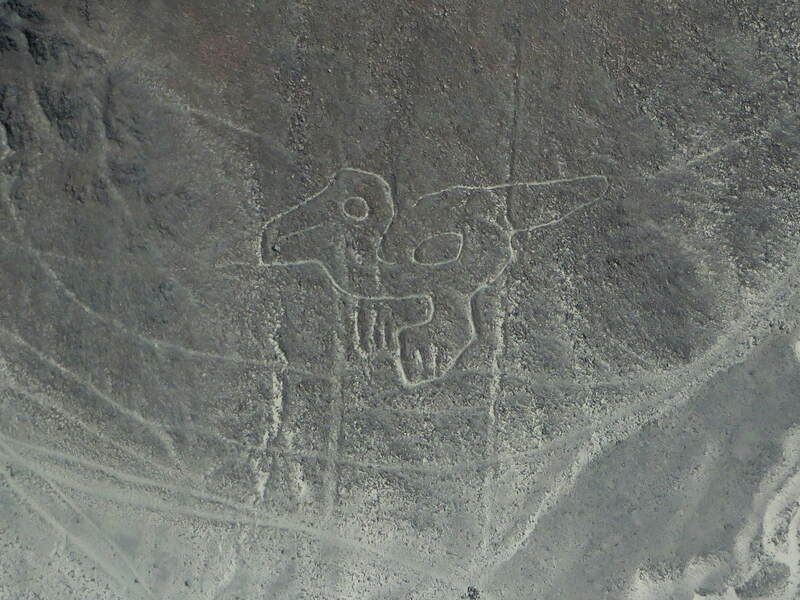 Nazca lies at an elevation of around 500 m and has a desert climate, due to the Humboldt current. 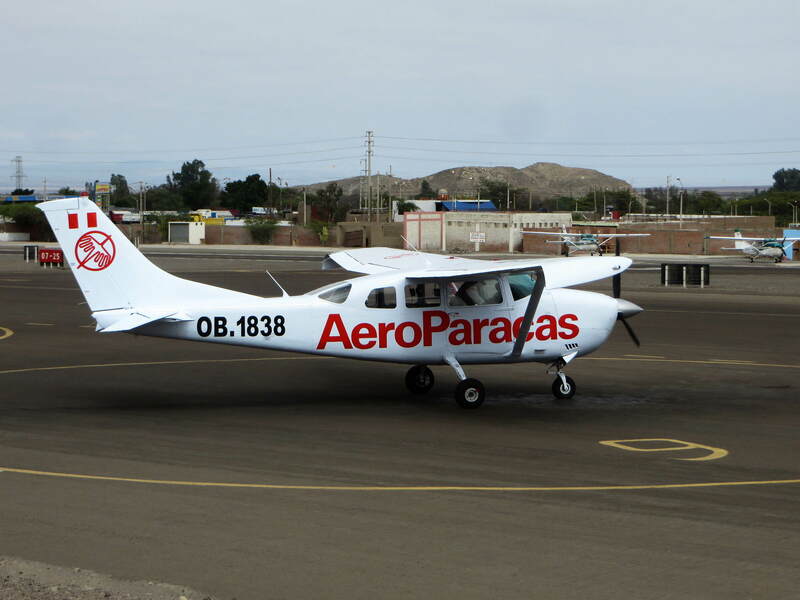 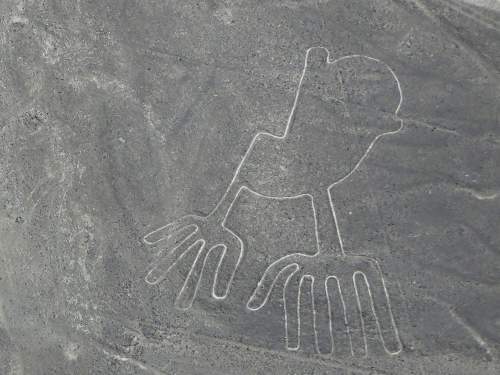 Often the days begin with an overcast sky, but clouds disappear by 9:00 - 10:00, allowing for flights over the Nazca lines. 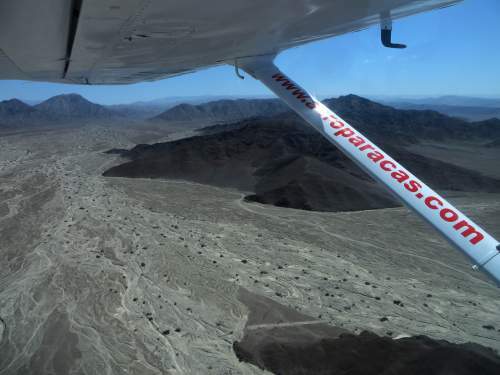 Down at the coast of San Fernando National Reserve, the climate is even drier, with hardly any precipitation at all. 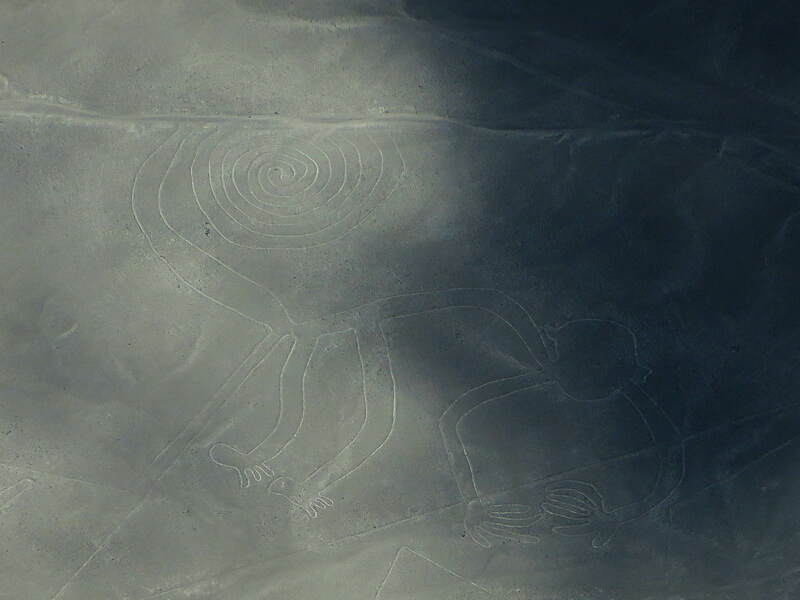 The little vegetation that one finds there probably depends on moisture brought in by nightly fogs. 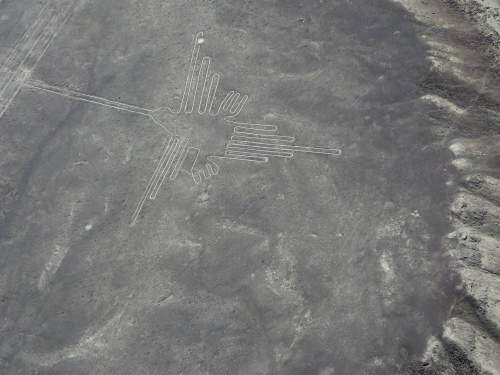 As one rises from Nazca to Pampa Galeras, humidity gradually rises, while temperatures fall, which makes for fascinating desert vegetation transitions over very short distances.